Unthank You Very Much | on parenting, eating, living, serving, and loving in this broken world. on parenting, eating, living, serving, and loving in this broken world. This post originally appeared on Engaged Pentecostalism on October 29, 2018. To continue reading, please visit Engaged Pentecostalism by clicking here. You can also engage with this post on Facebook and Twitter. I didn’t set out to do this. Writing this. Right here, this blog that you’re reading. In fact, I didn’t set out to be part of this team or this blogging network or even to write blogs at all. This was never my plan. Let’s take it way back. Once upon a time, I was an over-zealous, self-righteous, elitist college student who was determined to validate her existence with lofty degrees and professional credentials that commanded people’s respect. I dreamed of writing, yes, but I wanted to write academic books that made me sound really smart. Higher education was my ideal because, in my mind, that was where I would get ideas for all my super smart books. If I am highly educated, I said to myself, I will be highly valuable. Because deep down, I didn’t really think I had anything worthwhile to say on my own. My educational pursuits came to a sudden halt when I gave birth to my first child during grad school. I initially planned to continue, but due to departmental constraints, I ended up simply bowing out and looking for a big girl job. If I excel in my career, I said to myself, then I can be a strong, feminist role model for my daughter. I remember opening the Yellow Pages (in 2008, it may have been the last physical phone book I ever actually read) and flipping through categories to see what sounded interesting. Then I called businesses in those categories and asked if they were hiring. That’s how utterly clueless I was as to what I wanted to do with my life. It was then I decided to become a stay-at-home mom. At that point I was just a few weeks shy of delivering my 3rd child, so it wasn’t like I was brand new to the momming deal. However, I was still trying to find my stride in that role. I more often felt like a kid with a super-long babysitting gig than an actual adult parent, so being a stay-at-home-mom seemed like the perfect way for me to embrace my identity. This is the one thing I can do with all my heart! I will be a great mom, I said to myself, then I will feel like a real grown-up, and people will treat me with respect. Maybe you’re noticing a pattern. To continue reading, please visit Knoxville Moms Blog, where this post originally appeared on June 29, 2017. When you were born, you came home to 3-year-old and 1-year-old siblings, and your life was LOUD. There has always been someone talking, crying, pooping, eating, spilling, whining, laughing, pushing, throwing, bouncing, banging, squealing, and all.of.the.noises all around you. When you were a baby, I put you in the swing so I could go to the bathroom, and I would come back to find you buried in toys your brother lovingly wanted to share. (He was maybe less concerned about you breathing under there, but boy did he love you!) When I got overwhelmed and needed a “quiet minute,” your big sister would push your crawling diaper-bottom into the bedroom before I lost my marbles. You were always a year ahead of schedule with your activities and interests because you just wanted to do whatever the big kids were doing. Then two years ago, your Irish twin brother went off to kindergarten, and it was just you and me. Well, there was a newborn too, but – much to your disappointment – he wasn’t much of a playmate, and he didn’t laugh or do anything funny yet. Still, he was a good baby, and most of the time, it felt like you were all mine, and I was all yours. Before then, you had gone to preschool a few days a week, but changes in our family meant now you would stay home all the time. I thought you would get bored. I thought you would miss your brother and sister. I thought you wouldn’t like being with me. Turns out, I didn’t really know you. I learned that you love reading more than playing ball, like you always did with your brother. You like puzzles and songs, and you would rather watch Barney than Spiderman. We went to library storytime, which was always just too hectic when your siblings were home, and your favorite part was cutting out shapes, even when you struggled. You are the most determined human being I have ever met, and you keep trying, trying, trying, until you get it right. We went to the park and you climbed to the tip-top of the jungle gym without any help, because I was pushing the baby, and you were so proud. I was so proud. I am so proud of you. That boring little newborn turned into a silly toddler who absolutely adores you. You sing to him, make him laugh, and get him out of his crib when he wakes up early from nap. You help him up the steps on the Chick-fil-A playground, and you hold his hand when he falls and carry him to mommy. You’re his best friend. Sweet Carrot, you have become my best friend. I’ve never spent as many hours with any single human being as I have spent with you. You love helping me clean; you see it as acting like a grown-up rather than a chore. And you would do chores all day long if I promised you 20 minutes of uninterrupted attention at the end of it, as has often been our arrangement. You just love spending time with me; I don’t think I have ever felt so wanted as I have from you. I think you like moaning, “Moooomm, get off your phone!” because you know it’s an instant guilt trip, and I’ll stop everything to look you in the eyes. You have helped me shop, run countless errands, held the baby while I used the public restroom or taken too long at the customer service desk. I love that you call your action figures “little toys” and want to make houses for them to live in together, like I used to do with my brothers. I love playing basketball with you in the driveway while the baby naps, and you always beat me. (Okay, maybe I’m terrible, but for a 5-year-old, you had serious skills!) I love making you breakfast of two-eggs-scrambled-with-cheese-and-salt-and-pepper with three pieces of toast-cut-like-a-circle: one with butter, one with jelly, one with butter and jelly. I love the way you say it exactly like that every morning. I love the wild stories you tell and the passion with which you tell them. I love how you walk into the library, grab the most random books off the shelf – always at least three more than I tell you to get – and remain firmly committed to checking out those books, no matter how strange of choices they end up being. You just want a reason for me to read to you. And of course you never let me forget to get board books for the baby, easy readers for brother, and chapter books for sister, even though none of them are even aware of this library excursion. You want everyone to experience the joy you have. You have helped me make countless new friends by attending playdates with strangers-to-you and jumping right into relationship with their kids so the mommies could talk. You listened to me go on and on about the women’s suffrage memorial on the day after the election, even though you didn’t understand what I was saying, but you could tell it was important to me. Then you helped me eat too many farmers’ market cookies, because it was a good day for cookies. You are painfully unaffectionate, but with a reluctant “oookaaayyyy,” you let me cuddle you when I’m having a hard day. To continue reading, please visit Knoxville Moms Blog, where this post originally appeared on August 24, 2017. Among many things, he is funny, athletic, creative, and brave. He could dribble a soccer ball as soon as he could walk, and at seven, he can easily throw a football 25 yards in a perfect spiral. He blows through his math work and has better handwriting than his almost-10-year-old sister. He has always been obsessed with his art being just right before he could move on to anything else. His agility and athleticism are matched only by his fearlessness to test his physical limits. He is sweet, affectionate, and adores his baby brother more than any of us. He lights up my world. He is also a 7-year-old boy. He runs when he should be walking, talks out of turn, and laughs about bodily functions. He fidgets just about anytime he is sitting, fights with his brother, and hates to lose. He gets hangry at times and goes wild when he’s tired. He doesn’t make his bed, leaves his clothes on the floor next to the hamper, and doesn’t mind the table manners I promise I taught him. He’s just a little boy, and I don’t expect him to be anything else. But I admit that in the part of my brain that battles constant mommy guilt and comparison games, it begs the question: is my kid really that bad?? As parents, we all want our kids to be the good ones. We want teachers to like them, coaches to play them, friends to include them, other parents to admire them. Of course we do. But is this for their benefit or ours? Certainly there is much to be said for favor and opportunity, and many things in life will come easier for those who display virtue early on. However, is it possible we are more concerned with how our children’s behavior reflects on us as parents? Do our own egos and expectations deprive kids of the right to just be kids? To continue reading, please visit Knoxville Moms Blog, where this post was originally posted on January 14, 2018. This was a post about a skincare regimen one of my Facebook friends was selling. Her products sounded magical: they promised to make skin softer and younger looking, remove dark spots and blemishes, and treat fine lines and wrinkles. While these benefits are supposed to excite potential customers like me, sometimes I wonder why we “treat” fine lines and wrinkles, as though the natural process of aging is a disease to be cured. Truth be told, I want to relish in my crow’s feet and the deep grooves in my forehead, and I never want to forget where they came from. Wrinkles are more than the random pattern of sagging skin; they tell the stories of how we became who we are. Because our faces show our expressions, our wrinkles are the story lines of worry, sorrow, laughter, and joy. Certainly erasing the fine lines won’t erase the memory, but embracing these “story lines” can tell so much more. Meet my grandmother, Elizabeth “Lib” McCalman Caldwell, October 30, 1925-July 28, 2015. She was a fiery redhead, raised during the Great Depression in Memphis, Tennessee. She married my grandfather after he returned from World War II, and they bought a pig farm in Mississippi where she began raising a family without indoor plumbing. Four daughters later, they moved back to Memphis and opened a service station. There they had five more children — all boys — and planted roots for the rest of their lives. Lib (Mammaw to me) raised nine children while her husband worked often 100 hours a week, and those children didn’t always make it easy on her. 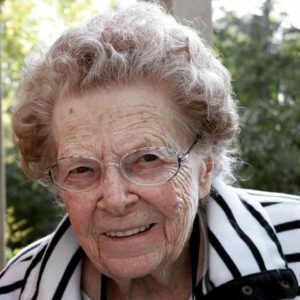 She cared for her aging parents, her husband, and her younger brother through tremendous health issues until each of their passing, all while continuing to serve in her church and mentor others in her family and the community. She lived on her own in what eventually became a “rough” part of Memphis until her mid-80s. My Mammaw traveled all over the world with Gulf Oil, laughed with her whole body, and made the best ham sandwiches in the middle of the night. There was always a puzzle in progress in her dining room and dishes in her sink from feeding someone. Her face contained more story lines than anyone I have ever seen, and my only wish is that I could have heard more of them. To continue reading, please visit Knoxville Moms Blog, where this post originally appeared on March 21, 2018. There are many types of mushrooms, from your basic button to meaty portabella to exotic shiitake, and so many more! They all have unique flavor profiles, but generally speaking, mushrooms are pretty easy to work with and incorporate into just about any dish. They are low in calories, fat free, cholesterol free, gluten free, have very low sodium and no carbs. They also provide important nutrients like potassium, niacin, fiber, essential B vitamins, hard-to-get natural vitamin D, and more. While most grocery stores place this fungus in the vegetable category, they are so nutritionally rich, they can also substitute or enhance many meats, beans, and grains. For my family, I use white button mushrooms and portabellas most often, and they’re on my grocery list every week. We add them to just about everything to amp up flavor and nutrition. Sauté them with some spinach and garlic to mix with scrambled eggs — top with goat cheese crumbles for some extra creamy yum factor! Add mushrooms to your brown gravy or meat marinade, toss them in a pan with some butter, fresh rosemary, and pressed garlic for a delicious steak, or chop them up for your spaghetti sauce. My mom makes the BEST portabella burgers by marinating the whole mushroom cap in Italian vinaigrette dressing then placing on the grill for five minutes per side, or until tender. Place it on a bun just like a hamburger and prepare to be amazed that you are not eating a thick, juicy hunk of meat. To continue reading, please visit Knoxville Moms Blog, where this post originally appeared on April 24, 2018. Check out the other great work while you’re there! If there’s one thing I do well and do often, it’s procrastinate. Okay, so that’s not always a desirable skill, but it’s not all bad. A few years ago I worked this trait to my advantage to score the best family vacation we’ve ever had. I had an idea in mind of where we would like to visit, a few different days my husband could quickly take off work, and the only hardline item in my plan: a strict budget. It took a lot of late-night research, but in the end I booked a resort on Thursday, and we left on Sunday. We stayed three nights in a 4-star beachfront condo for $80/night! I would have been satisfied to just sit on the beach the whole time, but our resort had an awesome water park on site, and once there, we Googled local attractions to keep it interesting. There was no plan; just a few days of rest and pure fun. I was hooked. Last year, with two day’s notice, I booked a 5-star historic hotel in Manhattan for $130. And this year I am watching several different Orlando resorts for our family’s vacation. Hotels are trying to make money, and empty rooms don’t make money. When they get down to the wire, they’ll sell great rooms for dirt cheap just to put bodies in the beds. For some people, waiting until the last minute can be stressful, but if you’re like me, it’s so freeing to relax and be ready to book whatever I can find. Full disclosure: this method is not for Type A personalities that like to have all the details just so. But if you like to roll with the punches, then with a little patience and a lot of flexibility, you can score the low-cost, last-minute vacation of your dreams. When you’re deciding where to take your last minute vacation, you need to have an idea in mind of where you want to go, but leave a bit of wiggle room. For our beach vacation, I knew we wanted to go to the beach in South Carolina, but I had about a 100-mile radius I was searching. The more flexible you are on the exact location, the more specific you can be on amenities — we wanted a full kitchen, beach access in walking distance, and a kid-friendly hotel pool. If a very specific area is more important — like when we went to New York and my husband was in an orthopedic boot, so we needed a hotel very close to our activities — then you will need to be more flexible on the amenities. To continue reading, please visit Knoxville Moms Blog, where this post originally appeared on May 19, 2018. Be sure to check out all the other great posts while you’re there!